Winter is upon us, which means it’s time to bust out your best friend Swiss Miss and snuggle in bed with your significant other, Netflix. But doesn’t the same routine get boring? 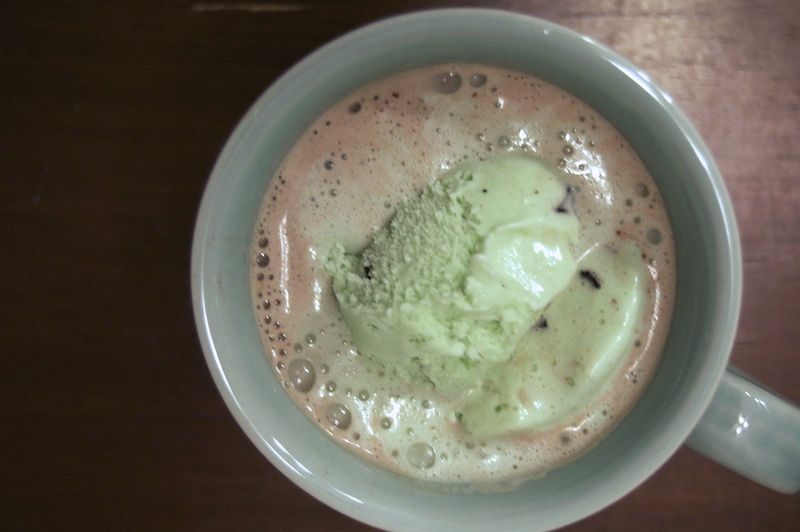 It’s time to spice up your classic cocoa with caramel, candy, and even ice cream. Bye bye boring Swiss Miss. Hello rich, decadent, tall, dark and handsome upgrade. 2. 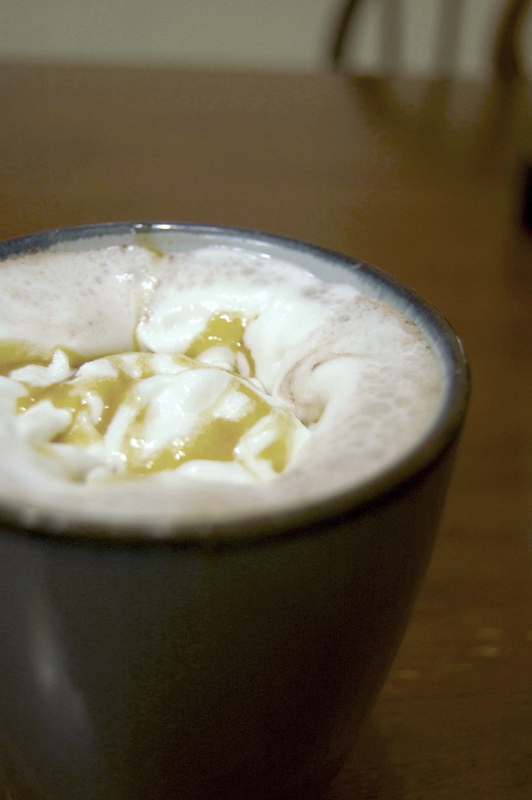 While it boils, crush a Reese’s cup at the bottom of a mug. 3. 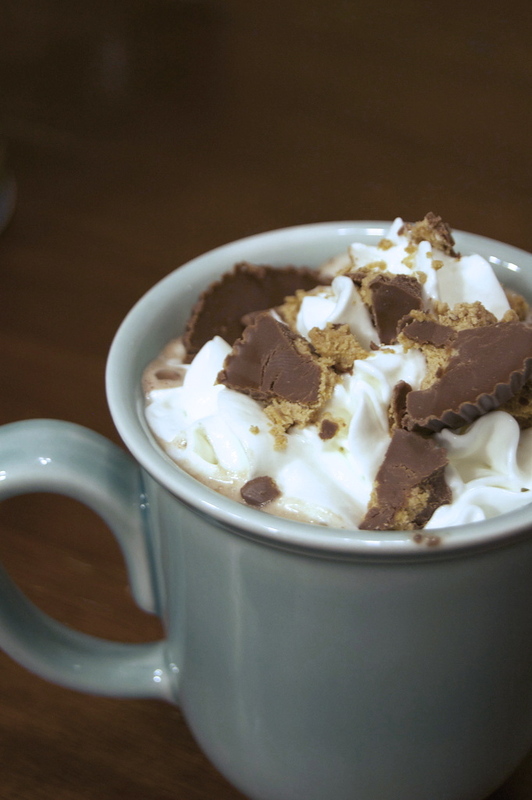 Pour hot chocolate mix on top of Reese’s cup. 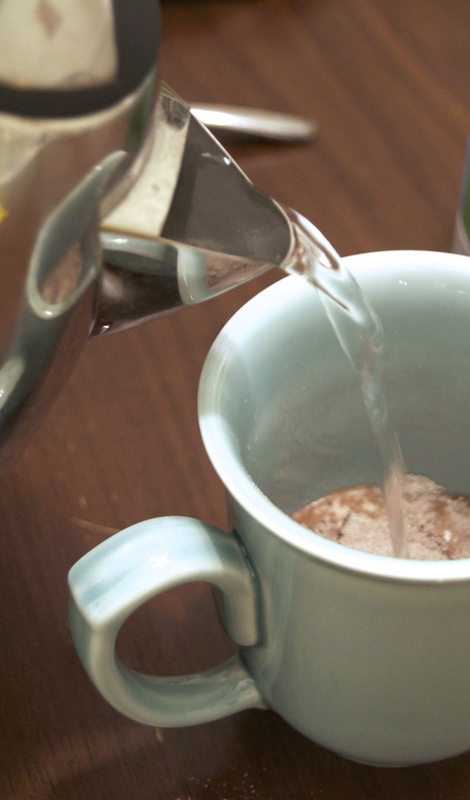 Add water to hot chocolate mix. Stir until combined. 4. Top with whipped cream and crushed Reese’s cup. 2. 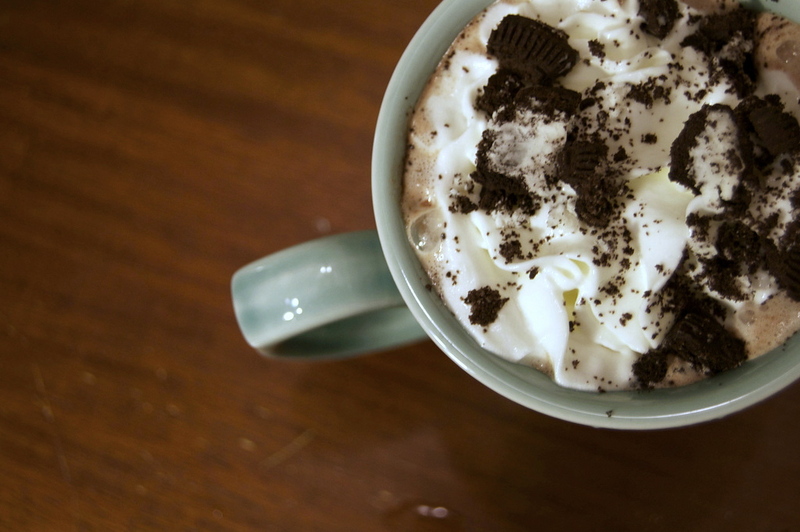 While it boils, crush an Oreo at the bottom of a mug. 3. Pour hot chocolate mix on top of Oreo. 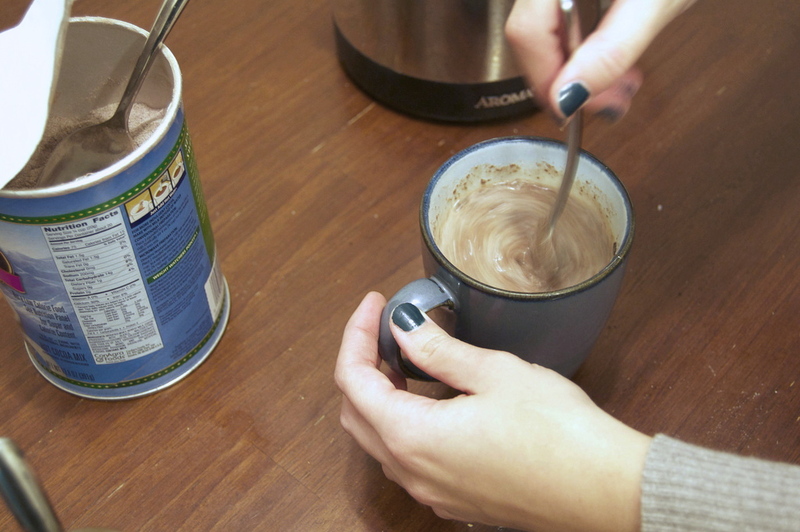 Add water to hot chocolate mix. Stir until combined. 4. Top with whipped cream and crushed up Oreo. 2. While it boils, cut up half a banana into thin slices. 3. 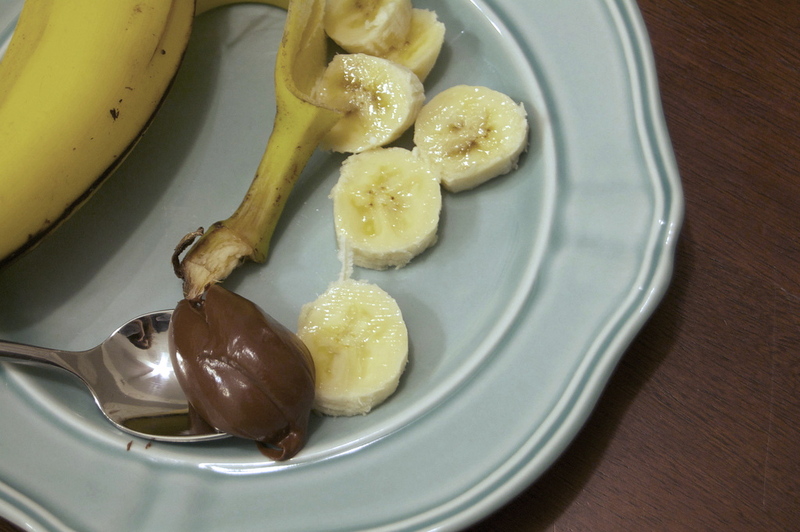 Spoon the Nutella into the bottom of a mug. 4. Add water and hot chocolate mix. Stir. 5. 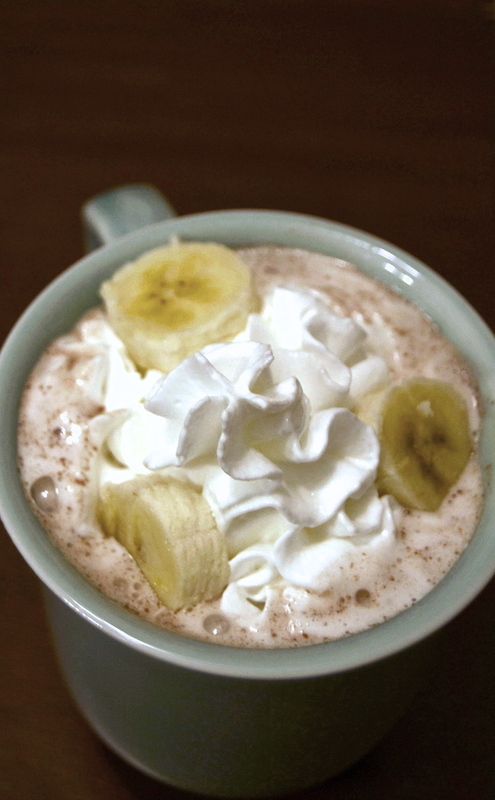 Top with whipped cream and banana slices. 2. Add water to hot chocolate mix. Stir until combined. 3. Add a scoop of mint chocolate chip ice cream and melt into heaven. 2. 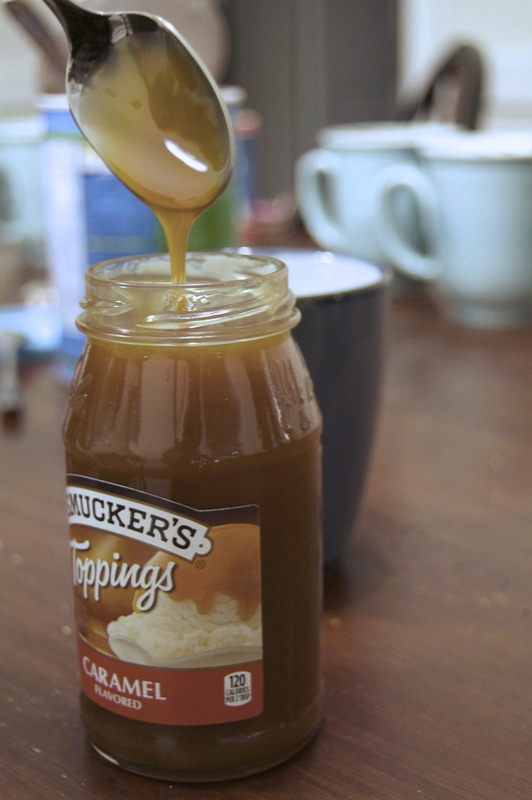 While it boils, spoon the caramel sauce into the bottom of a mug. 3. Add water and hot chocolate mix. Stir. 4. 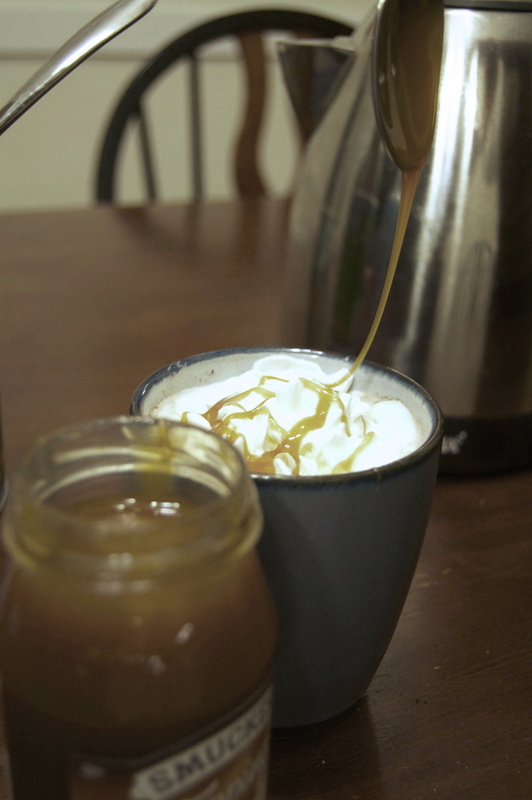 Top with whipped cream, caramel sauce and a pinch of salt.